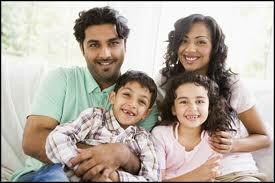 Life Insurance Policy For Child Why Buy Life Insurance For A Child? There are a few of pro’s and cons’ about purchasing life insurance on children. Life insurance must have an insurable interest. There has to be good reasoning behind the purchase of life insurance on children. The first priority is to first make sure that the income producers in the household have an adequate amount of life insurance. Large amounts of life insurance on children with little or no life insurance on the bread winners will make little sense to an insurance company underwriter. 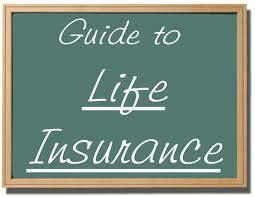 Life insurance underwriting departments will often require a certain ratio of life insurance on parents to children. There are advantages in purchasing life insurance on children after the parents are insured properly. Most companies have children term riders that a very inexpensive. Children term riders will protect the insurability of the child. These term riders can be converted to permanent forms of life insurance when the child reaches the ages of 18-21. This is a valuable feature if the child is uninsurable because of health reasons. Permanent Life Insurance on Children Some parents have purchased permanent life insurance policies on children so that they can use the cash value accumulation later in life. Permanent life insurance is relatively inexpensive and should be considered on a child once the parents have taken care of their own life insurance needs. Why Buy Life Insurance on a Child? 1.Protect Insurability Purchasing life insurance on a child will protect the Childs insurability. 2.Cash Value Accumulation Purchasing permanent life insurance and funding it with adequate enough premium to produce cash for college education or future needs. Universal Life policies are excellent policies for this purpose. 3.Final Expense This is the basic purpose for all life insurance. There is the added benefit of teaching the child about life insurance. Parents that show their children the benefits of life insurance prepare the child to take responsibility for their own financial future.